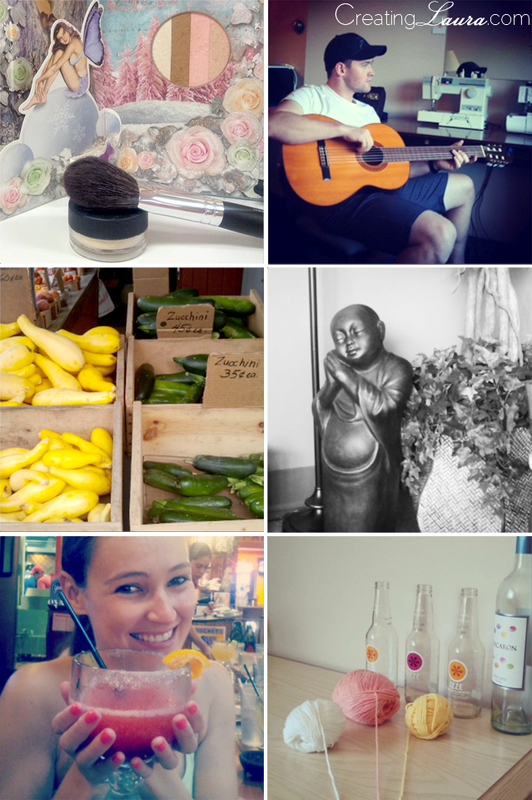 As July draws to a close, I thought I'd share with you what this month has looked like for me according to my Instagram photos. I've been doing my show makeup with a pretty fairy palette, listening to Justin practice the guitar, buying fresh produce from a local farm, taking care of my muscles with a little acupuncture, going to Mexican (and Japanese and Vietnamese) restaurants with my friends, and knitting with pastel yarns. It's been a great month! If you're on Instagram and want to follow along, you can do so here. Sounds like it's been a great month! I love those yarn colors! Now, THAT, my friend is a drink! Looks like you've been having a great time. Love the yummy yarns too!